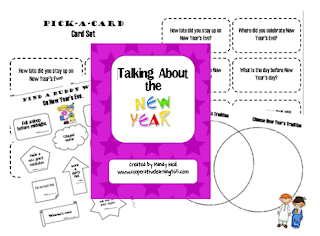 When students return to school after the New Year, they have so much to talk about. These activities give them a way to share, while providing opportunities for team building and class building. You will find directions for a two cooperative learning activities; Pick a Card and Find a Buddy Who. Also, students compare and contrast their own New Year’s traditions with traditions of the Chinese New Year individually or with partners. You can download this freebie HERE at my TpT Store!